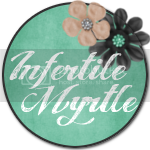 The Infertility Overachievers: LIFE IS GOOD! So after a week of eating Rice and Beans (I'm not complaining, they are good) I went out and got Chick-fil-A tonight. It was soooooo yummy! I got a phone call from Mike today and yep, he got hired for his dream job. I've heard him talk about this since he graduated from West Point, and now finally its become a reality for him. He worked really hard to get this job, so I'm super proud of him. His new job does have perks for me too. 1) We won't have to move anytime soon. Well at least for another 2 years. Which means if we do get pregnant, I can justify spending the time and money on decorating a nursery. 2) Shorter deployments, I mean seriously, show me an Army wife that WANTS to do 15 months away from her husband. Shorter is ALWAYS better. 3) If we get pregnant from this IVF cycle, he will actually be here for most of the pregnancy and the birth. 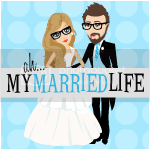 For all of you non-military wives reading, that is a HUGE concern for army wives these days. You would be surprised how many husbands don't ever lay eyes on there child until they are 3-6 months old, or leave a 3 month old and come back when they are 1.5 YEARS OLD. On a different note, I got a call from my Dr's office today and I am responding so well to the meds they are again cutting the dose in half. I'm down to 75iu Gonal-F and 75iu Repronex (and of course my Lupron). I'm really hoping for a Sunday ER now, but it might not be until Monday though. Oh and my e2 was 1526 today for those of you who know how to read those numbers. In short: THINGS ARE GOOD! That is so exciting! Congrats to Mike!! I will keep my fingers crossed for you that this IVF works out and he'll be able to be there for the pregnancy and birth!!!! Keep hanging in there! HOORAY for Mike getting the job!! And HOORAY for you being an egg making machine!! !